Unaccredited : Love in Fiji,1870. Unaccredited: Love In Fiji - My Early Life Amoung the Cannibals. 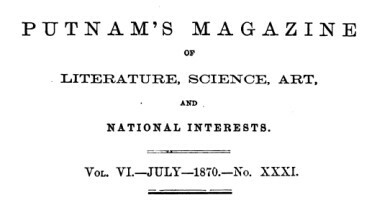 Volume 6 Number 31, July 1870. A elaborated fictional account of surf-riding and a dramatic shark attack in Tonga-Fiji. Love In Fiji - My Early Life Amoung the Cannibals. On one of these occasions, I had gone out " surf-playing" with a company of twelve or fifteen Tongan youths of the higher rank. The young men and girls of the chiefish families are exclusive in their fellowships, and seldom indulge in sports or games except in the companionship of their own caste. I enjoyed the questionable privilege of that fellowship, however, on account of my foreign blood; for the Tongans hold the whites in much esteem as nganga alamai, skilled or dexterous foreigners; reverencing their mechanical skill, it must be confessed, much more than their civilization, their philosophy, or their religion. Our party was gambolling, as if natives of the element, in the tumbling surf which breaks upon the reefs of Vavau; all was going merrily, and the shouts of our company rang out loudly above the noise of the breakers, as we indulged in contests of speed in swimming, or of endurance in diving, or, poised upon the glittering crest of the billow, rushed shoreward at racehorse speed upon the surf-board. Suddenly I saw a sight that made my flushed limbs turn cold with a sudden chill,—a glistening fin, cutting through the smooth, undulating surface of the billow a few yards seaward, and approaching our party swiftly and silently—a slate-colored sharp fin, rounded like the head of a razor-blade, the edge of it cutting its way straight toward us without a ripple. It was the white shark,—the most voracious and terrible variety of his species. I screamed at the top of my voice, Auwe! te mono! Auwe! te mano! ("Alas! the shark! the shark ! ") and struck out vigorously for the shore, kicking my heels upon the surface of the water as I swam. The rest of the company followed my example; for the shark is essentially a coward, and will not attack a swimmer as long as he splashes the water actively. But one of our company, a girl of about my own age, my favorite playmate, had not received any warning of the enemy's approach. She dove, the instant before I gave the alarm, to escape the ardent pursuit of one of the native youths; for the aquatic sports of the Islanders involved a degree of license which will not bear too minute a description. She went under like a water-fowl, aud disappeared from him at the instant that she was about to become his captive; but she escaped for the moment, only to be singled out as the object of a more terrible chase. The shark turned his course toward Melelina—this was the name of the unhappy girl—and pursued her, as, all unconscious, she was still swimming rapidly under water toward the shore. I saw the shark's fin disappear from the surface, and knew that she was ignorant of his approach. I dove instantly, hoping to see her under water, to touch her lithe body, and warn her of the danger before it was too late. I knew that she must be within a few yards of me; but I could not see her, the agitation of the water at the moment being such as to disperse the light, and render it impossible for the sight to penetrate more than two fathoms in any direction. In spite of the terrible excitement of the moment, I did not lose presence of mind. ... two dense fragments of the mushroom coral, which abounds in these waters, and struck them sharply together, giving the signal by which the Tongan divers communicate with each other while under water. I knew that the sound, though entirely inaudible above water, would be conveyed with great intensity to a considerable distance beneath the surface. In far less time than it takes to read the account of it, I had made the signal, with two rapid clicks (like the telegraphic signal for the letter A)," Come to the surface of the water!" As I repeated this signal, employing all the strength of a muscular pair of arms, a shadow passed over me, darkening the broad, fan-like beams of sunlight that now poured down into the sea. He dashed over me like a flying spear, apparently intimidated by the sharp clicking of the coral in my hands—a sound that he had never heard before. But I knew that he was in swift pursuit of my beautiful playmate. I dropped the corals, and rose—for my breath was now almost spent—to the surface of the water. My companions were by this time making rapid way toward the land, kicking and splashing furiously. But Melelina had not yet appeared. Had she already fallen a prey to this monster, this ravening devil of the sea? But, in a few seconds, the glossy black head of the young girl sprang above the surface of the water, hardly farther from me than her arm's length. She shook the brine from her curls. Her eyes sparkled. "Va lilo ia ! "—" I have escaped him! I swam seaward after diving, and put him off the track!" She was speaking of the savage, not of that more terrible enemy, of which, as yet, she knew nothing. Then, glancing shoreward, she saw the whole company in flight, and beating the brine with their feet. She turned toward me: my face was as ghastly as death. "The shark!—the shark is after you! All this passed in an instant; and, in the same second, we saw the blue dorsal fin of the shark at Melelina's side. Quick as lightning, before we could cry out, he turned and seized her. I shall uever forget that dreadful moment. Her face, just now so smiling, was instantly drawn with sharp pain. A shriek of agony rent the air. She threw her hands wildly toward me, and immediately the water around her turned a frightful crimson. I bore the body part of the way to the shore; a broad track of crimson marked our path as I swam. Those of the company who had first reached the shore, hastily pushed off a canoe and came out to us, beating the water with their paddles to scare away the shark. But he, apparently sated with a single life, did not follow us farther. They met us near the landing, for we were not more than half a mile from the shore when the shark attacked us; and, upon arriving with the still warm body of Melelina, the whole village came down to the seaside, with branches of the mourning-tree (dilo, a variety of Calophyllum), and uttered those loud and doleful wails with which all of the South Sea Islanders are accustomed to mourn the dead. It is not my purpose to dwell further upon the adventures, varied and exciting as they were, which filled up my boyish years. It is sufficient to say that, at the age of fifteen, I had become quite identified in feeling with these natives, and was accustomed to spend at least a half of my time in their company. As the Tongans were a kindly, indolent race, they displayed no traits that alarmed me, or caused me to shrink from their society; but the habits of intimacy with savage life which I then acquired were to lead me, in another group, into the darker scenes which I am about to describe. Would that the memories of my early years included nothing but the record of those comparatively innocent days spent upon the Tonga Islands! Geoff Cater (2011-2017) : Unaccredited : Love in Fiji, 1870.